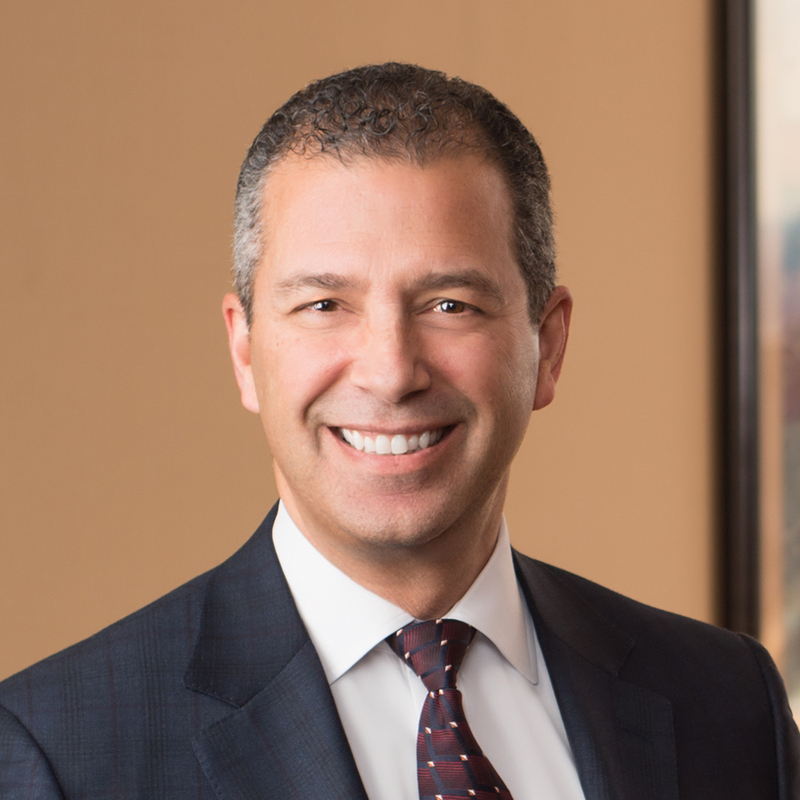 Law360 (April 10, 2019, 1:57 PM EDT) — It has been a little over two years since George E. Pallas was elected to be the third managing partner of Cohen Seglias Pallas Greenhall & Furman PC, the Pennsylvania-based, construction-focused firm. “I was going to completely revamp the governance of the firm,” he says, recalling his main priorities when he was first elected to the role. The overhaul focused primarily on recreating the firm with the intention of making every attorney invested and involved in the firm’s overall growth. Pallas spoke to Law360 about his main priorities as managing partner, the emerging role of legal tech and why firms are more successful if they dispense with ego-driven culture. This interview has been edited for length and clarity. What have been some of the most significant priorities as managing partner? Prior to my ascension to managing partner, the firm had a managing partner that ran all operations of the company. We had an executive director who assisted in that function. Everything went through the managing partner. When I ascended to that position, I created an executive committee composed of 10 partners, five owners and five nonowners. Each of those partners is the chairperson of a different subcommittee. Those subcommittees are comprised of anywhere between two and four different attorneys, including associates. The chairperson would then be charged with that sphere of influence for the company; they would then report to the executive committee and the executive committee would make all operational decisions for the company. The board has been relegated to a long-term strategic development and matters dealing with financing the firm. Also, we elevated the position of executive director to the position of chief operating officer. Because the person in that position was simply doing more than an executive director and was deserving of a promotion to chief operating officer. The second major initiative that I started and continue to pursue is we completely revamped our compensation model for partners. Two years before I became managing partner, me as treasurer and the managing partner worked with the board to restructure how owners were compensated. The old model was you were paid based on your books of business. We recognized as we got larger that model was counterproductive and did not serve a firmcentric view; it was much more egocentric. So now the ownership gets paid based on percentage of profits. So that as a result of that, we’ve found, in the last four years, we’ve had a great increase in collaborative efforts to market and expand our books of business, collectively. The consequence of that is firm revenue continues to grow every year. Our margins continue to grow every year. Our headcount grows every year. All of our metrics are pointing up. And it’s in large part due to the firmcentric culture we started four years ago and, since I’ve been managing partner, we hammered home in all aspects of what we do. We also have instituted a change for our nonowner partners. Back in the old days, they would be paid and reviewed and evaluated based on their individual books of business and hours produced. We changed that and now we recognize a nonequity partner who is managing a client that another person originated should receive value consideration for managing that client. We want all our nonequity partners to take a vested interest in all clients. Because any case they work on, there is a pathway by which they get value consideration for just working that file, developing the relationship with that client, and eventually managing it, and if you do that, you can get origination credit for that client as well. The last one we’re pushing hard on is succession planning. Part of that plan is to not only work on a plan to have our clients be passed on to the next generation but also the management of firm, so all these things I talked about — changing the firm’s governance, changing the compensation model and focusing on a firmcentric approach to the firm is all part of our succession planning. And we are in the midst of putting a further refinement on how that’s going to look with our senior attorneys. Do you get approached by larger firms looking to acquire or merge with you, and what has been your posture towards those approaches, if they’ve been made? Often enough we get approached by larger firms to take our temperature with respect to a merger. We consider ourselves, frankly, a perfect candidate. We have 50 lawyers that focus exclusively in the construction industry, and there are a lot of firms that would view our expertise and client base [as fitting] hand-in-glove with their large national or multinational practices. We’ve resisted those mergers because our business model and our approach to firm management and our marketing — we’re growing every year, we’ve grown every year in the 30 we’ve been in existence. We continue to grow and we see no end in sight. So, would we consider a merger with a larger firm? I’d say at this stage in our development, probably not. We’re probably neutral on it. But you never know. Time will tell. But right now, we’re neutral on it. How has the business of law changed most significantly since you began practicing? I think what has happened over the last decade or so: There is an increased focus on the needs of our younger talent pool, our millennial population. And that has changed the business of law, frankly. An example: Back in the ’80s, when the dot-com era was hot and running, all the law firms servicing the dot-com clients realized that wearing a tie every day and wearing a white shirt really was counterintuitive to that culture. So there was a trend to start going more casual. That premise continues to now, where we have millennials who are hard workers, very smart, but really put a big value on work-life balance. And that is a big important component of how they evaluate their profession and their professional development. Because of that, we have taken strides to be sensitive to that and accommodate some of those needs, consistent with the manner in which we provide quality, sustained legal work to our clients. Specifically, can you talk about some of the ways alternative fee arrangements are maybe starting to edge out the billable hour? The billable hour is really the bane of the business, the reality of our profession. Alternative fee arrangements are a hot topic. In Europe, there are firms doing this on a regular basis. In the United States, in the areas of trusts and estates, corporate transactions and things of that nature, alternative fee arrangements are well-received and implemented by firms across the country, including our firm. We will give alternative fee arrangements with respect to those transactions. In litigation, it’s a little more complicated and more difficult. We have created bifurcated hourly rate arrangements with clients so that we can help ease the pain of the hourly requirement to them, with the upside potential for the firm in the event we get a good result on the back end of a piece of litigation. So we are receptive to it. How has the development of legal tech changed things at your firm? Legal technology is a big driver for our budget. We invest very heavily in technology because we’re committed to it at every level. What does that mean for us? The way we practice, we’re a large construction litigation firm, probably top 10 in the country in terms of our size and who we represent. We handle routinely matters that have the exchange of documents in the millions of pages. So we invest heavily in document retention and search platforms, and are now utilizing artificial intelligence to help us digest, review and analyze various documents that are produced in litigation. We are moving to providing our attorneys with tablets in an effort to have better document management, so that they’re literally carrying their entire database in their briefcase. That’s becoming increasingly more popular. We are doing all that we can to make delivery of our legal services as efficient as possible. You mentioned the shift to a more firmcentric approach. What do you think distinguishes the firm’s culture from other similarly sized firms in the same space? Traditionally, lawyers get paid based on their books of business and the hours that they work. And that model works well for small firms. You go out in the world, and you try and slay dragons and bring them back to the den. And the better you are at doing that, the more you’re rewarded. We have taken great strides to break that barrier. You want all employees to be in the boat rowing in the same direction. And that starts from the top. The leading rainmakers in our firm had to agree to break down those barriers and agree to let everyone into their client bases. As another example of how we’re breaking down the “me me me” concept and making it more firmcentric, the owners of the company agreed two years ago when I became managing partner to reduce their buyout in retirement by an excess of 80%. And we did that with the recognition that it’s about the firm, the firm first, and if you had overly aggressive, burdensome retirement packages, it would be detrimental to the firm. So I’m extremely proud of our ownership in really putting the firm first. By doing so and instilling that in our associates, we have really exploded in the amount of work we’re generating and our growth. Right now, I’m looking to hire attorneys in four of our five markets. So this concept of “team first” is really taking off for us.